Our nearest allotments garden site is behind Cannon Hill Park. Congratulations to the plot holders there for raising the money to sink a borehole this year, so as to access underground water. The storage tank (as pictured) is at a high point, so it will water the plots by gravity. Next summer, a huge amount of tap water will be saved in growing the fruit and veg. – and for many years to come. We all have to plan for longer droughts, due to climate change, and this is a great demonstration of planning ahead. People are asking if the drought of 7 weeks and the hot temperatures of 30 C (and more) have something to do with Climate Change. The Mediterranean-style summer in Balsall Heath has made the grass parched (see pic below) and even trees are starting to droop. The truth is that all weather is now in the context of a changed atmosphere and a warming world. This is not a theory, but a matter of measurement, so the Central England Temperature series shows it getting warmer since the mid 20th century. 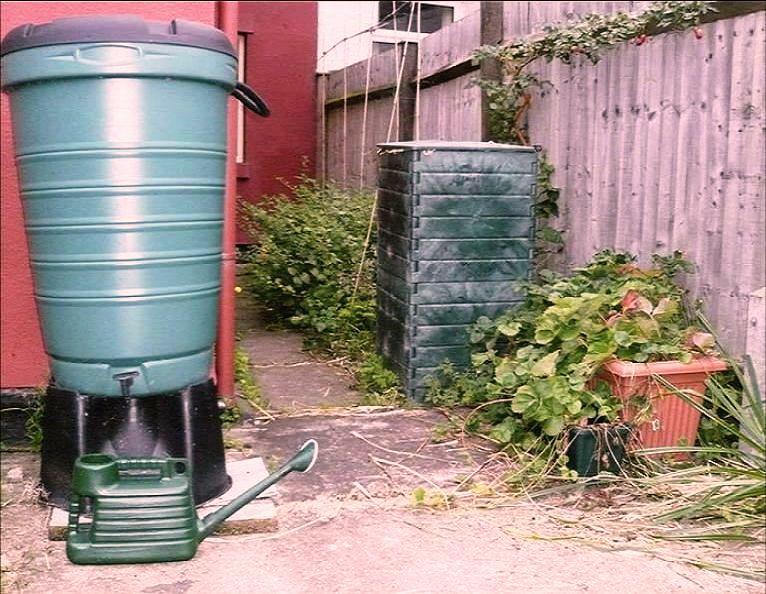 We are encouraging rain butts to be installed in community gardens to store water (when it falls), also talking to the Moseley Road Baths and the Old Print Works about using the rain from their roofs in the building, rather than sending it down the drains. 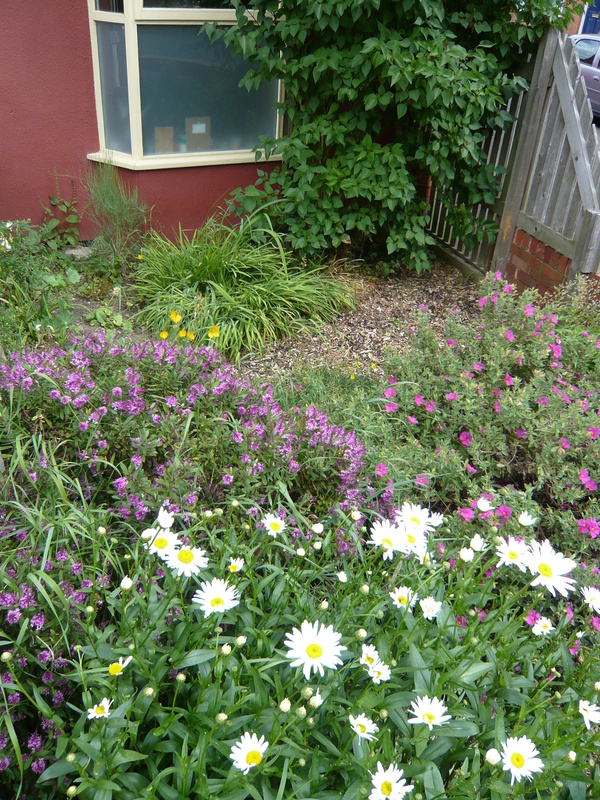 In spring and summer the front gardens of Balsall Heath offer beautiful colour to our streets. So, a big thank you to all the gardeners. Sadly many houses have tarmacked or slabbed entirely, to park cars on. This adds to drainage problems because the drains cannot cope with sudden rain that no longer sinks into the ground. Without any shade the streets will get very hot, and we still remember the damage of the Birmingham Tornado which was triggered in July 2005 by the high temperatures. This event is a chance to see my Backyard Farm, to learn about composting, rainwater harvesting, growing vegetables and fruit, all in a small space. 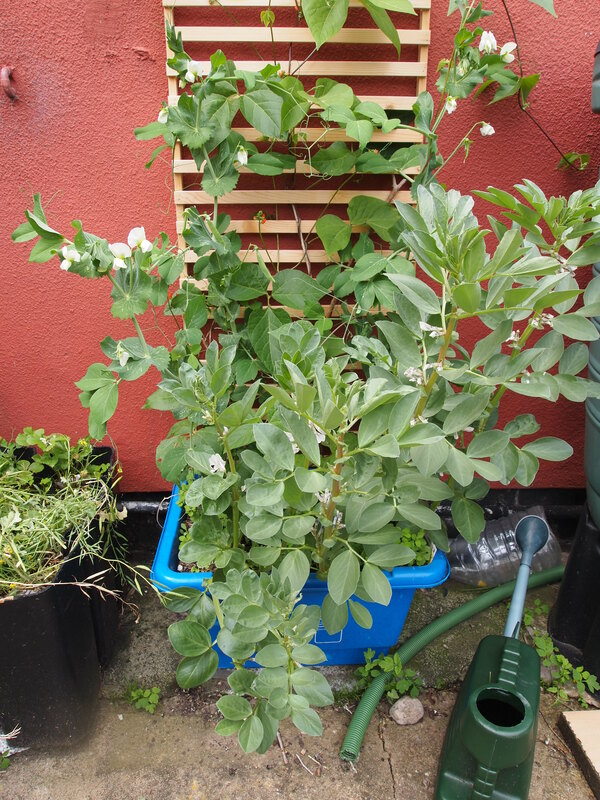 I have composted all my kitchen and garden waste to make into nutritious compost that this year has grown beans, carrots, potatoes and tomatoes. It is easy to care for and easy to harvest from. 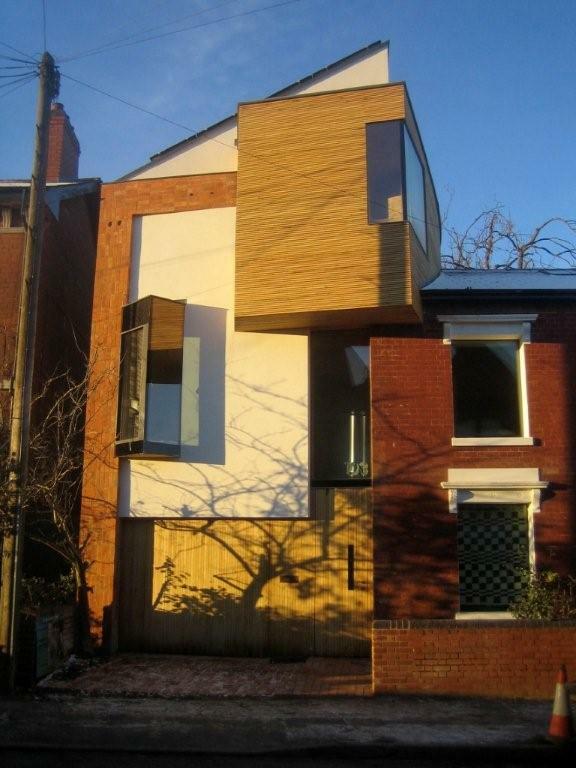 There will be a free open day at the Zero Carbon House, designed by Balsall Heath architect John Christophers on Saturday 8th September. This house stores its own heat and requires no outside fuel supply. It makes its own water, electricity and hot water. Everyone should have a look. One day all houses may be like this. There will be a chance to hear how the house has performed in two cold winters, and to talk about how to make your own house more energy efficient. Swim Baths re-open – but at what cost? 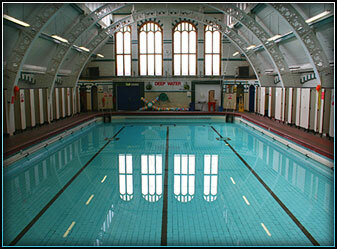 Hurrah for Moseley Road Swimming Baths , open for swimmers again in the heart of Balsall Heath. It looks beautiful, but what a lot of hot water! The site is a red blob on the new on line national Heat Map and the gas bill is really frightening. What can be done? The City Council has prepared a Heritage Lottery application to include replacing the boiler with a combined heat and power plant. This would make electricity and also waste heat – two fuels for the price of one. Maybe we could reopen the water supply in the original borehole that goes down 750 feet into the rocks below and save on the water bill as well. The Energy Plan for Balsall Heath has been written. The main points are; firstly to make buildings more energy efficient. The second point is to get on with generating our own electricity from locally available sources. The third point is not using the private car so much. Energy could also be saved by growing food, storing water and recycling wastes at neighbourhood scale. The full version is 50 + pages, but a summary is available here. The glorious old swimming baths on Moseley Road has many friends. The Friends of Moseley Road Baths want to keep them in use for the future, while restoring the 100-year old architecture. 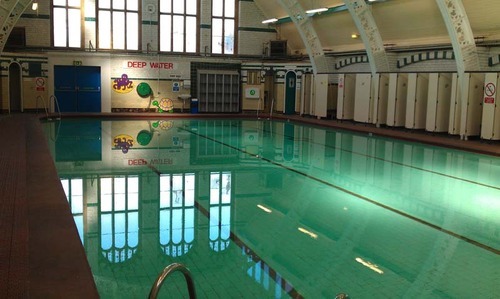 Balsall Heath Is Our Planet adds that there are great opportunities for 21st century technology to make the baths much more energy and water efficient, so keeping future running costs low and helping to justify the capital cost of their restoration. A ‘Combined heat and power’ (CHP) plant would uses the waste heat from electricity generation – and public baths require hot water all year round. There is also a borehole under the baths that could be re-opened, so we won’t need to pay for drinking water from the mains to swim in.